Solo Ad Breakthrough is a take-action massive traffic formula that will literally change your traffic flow for the better. Sure you can take your chances and try and generate your traffic streams using a variety of free strategies. But truth be told that usually gets you nowhere fast. You get what you pay for and this video tool is a drop in the bucket for the professional and legit information it provides. A super sweet deal when all is said and done that will show you literally how to zone in on your target audience and bust your sales wide open via this proven solo ad system. There is nothing like it that is reputable in the industry to have such positive power on your numbers. You do like making loads of money right? 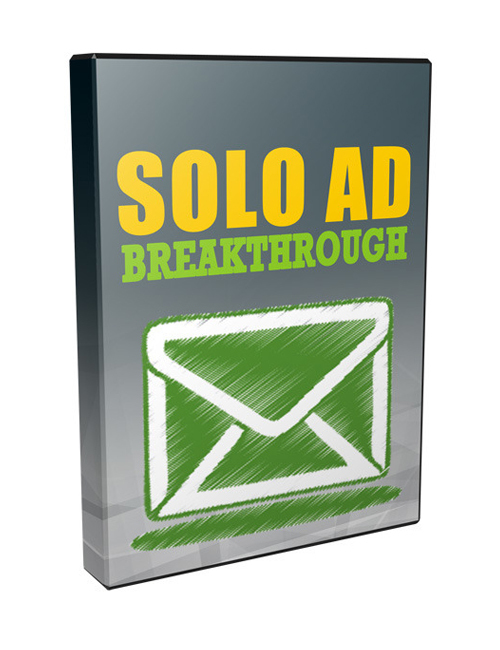 Solo Ad Breakthrough is the smartest move you can make in the now. Get it…you know it’s your key to success.